Your hot tub needs your attention several times a week. From checking water levels to adding chemicals, it would be nice to have a little help. So, why not make hot tub maintenance a family affair? Everyone that uses the hot tub regularly should have an assigned task for caring for it. There are the obvious things such as, if you get in the hot tub, then you make sure the cover is on correctly when you’re done using it. But, depending on the frequency of use, there is certainly more to be done. Smaller children can be charged with wiping down the cabinetry once a week to remove dirt and debris from the outdoor elements. This is an easy enough task that doesn’t even require exposure to the water (so you know they’re safe). Of course, never leave younger children unattended near the hot tub. Older children can check water levels and add water as needed. You can even make them responsible for testing the water every time they want to use it, which generally just requires them to dip a pH test strip in the water. Teenagers might be capable of adding sanitizer as needed, once you’ve trained them on the proper way to do it, but otherwise, reporting to you with test strip results so you can make adjustments is still quite important. Mom and Dad tend to carry the more weighted tasks, such as the management of the hot tub chemicals or the removing and replacing of the cover properly. But with everyone helping out with some of the other necessary steps for proper hot tub care, those bigger tasks become habitual. 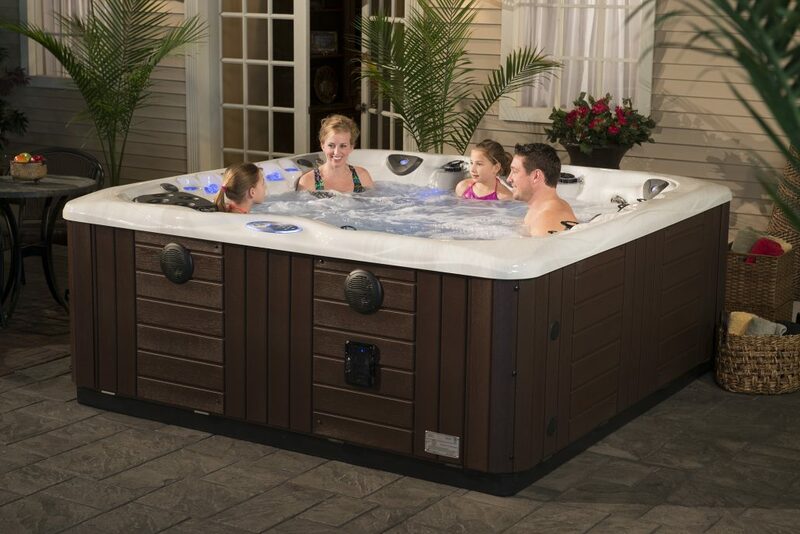 Working together as a team helps everyone in the family to appreciate the luxury of owning a hot tub even more!